Although the Da Vinci Code franchise was abandoned by director Ron Howard out of fear that he was getting too close to the convoluted truth, Sony remains determined to mount a feature-film version of Dan Brown’s The Lost Symbol, which remains a hit so long as there is a lot of time to kill at airports. 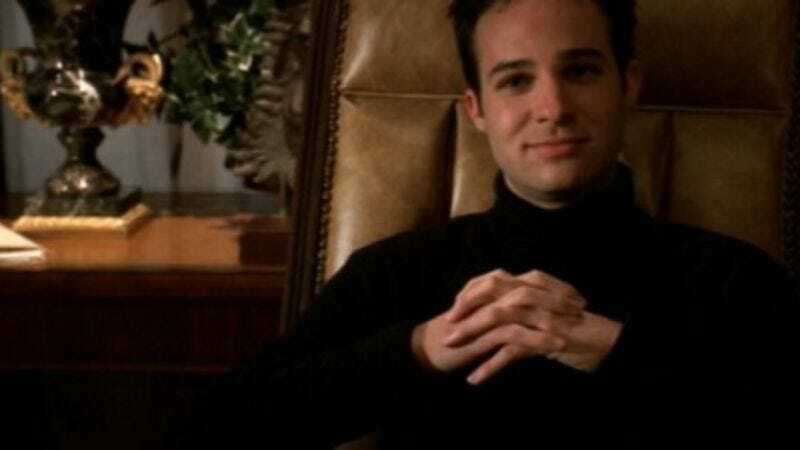 And so, after hiring Never Let Me Go’s Mark Romanek to direct it, the studio has also now paired him with writer Danny Strong, whose performance as “Jonathan” on Buffy The Vampire Slayer is both the onus he must bear as he attempts to establish himself as a serious, grown-up screenwriter, and the gift that keeps on giving from devoted Buffy fans who feel strangely proud of him. We’re not sure why. It’s not like we’ve really known him since he was in high school, and yet—good job, Jonathan! You’ve come a long way since you were just casting spells to make everyone think you're a famous writer! Anyway, the embarrassing, everlasting support of nerds aside, that show definitely gave Strong an early education in complex mythology that should lend itself well to Brown’s story, which combines the Mason conspiracy theories of myriad painful-to-read Angelfire websites with the fast-paced, convenient clue-finding action of Where In The World Is Carmen Sandiego. And of course, Strong also wrote the 2000 election dramatization Recount and the forthcoming John McCain-Sarah Palin HBO biopic Game Change, so he’s well-versed in Washington D.C., secretive collusion, and people with dangerous delusions of grandeur.